Are there any known planets whose axis is oriented such that one pole always faces its star? Earth rotates around the sun and around its axis (A North, South axis) giving us days, nights and seasons. Are there any known planets that rotate with an axis pointing toward its sun so that one half of the planet is always facing it (the other half is always facing away from it)? Like Uranus, but not switching which side is facing the sun every 6 months. Would this even be theoretically possible? No. The law of conservation of angular momentum prevents this for a planet with reasonable inner structure in a gravitational field like that around the sun. The angular momentum of the planet points in a certain direction. Changing this direction requires a torque perpendicular to the rotation axis. If a torque existed that could force the rotation axis of the planet to always point towards the sun, the corresponding force had to have a component perpendicular to the line from the sun to the planet. The force also had to change periodically with the orbit of the planet. Obviously such a force does not exist in the planet-sun-system. Uranus has an axial tilt of about 98 degrees, so I think this is about as close as you'll get for planets with known tilts. However, you won't find one with a pole that always faces the sun, just because of the geometry of the situation. With Uranus, for about 1/4 of its 84 (Earth year) year, it will have one pole more or less facing the sun, then for the next 1/4 it'll have both poles facing perpendicular to its orbit (away from the sun), then the next 1/4 it'll have the opposite pole facing the sun, then for the final 1/4 it'll have both poles facing away again. This is a bit of an over simplification, but it captures the general idea. In other words, the two poles point mostly the same direction in space**, and for part of its orbit one pole or the other is pointing more or less at the sun, but for the periods in between it will face away. If you want a planet who always has the same side pointing at the sun, it has to rotate with a North/South pole similar to Earth, and it needs its "day" to exactly equal its "year". None of the planets in our solar system do this, however many moons do. Earth's Moon, as well as all of Jupiter's and Saturn's major moons do this. This is called tidal locking. Note that Mercury is on the list I linked, but it isn't perfectly tidally locked, it is in a 2/3 resonance. **There is a little bit of wobble due to precession, but this happens over long time scales and doesn't change by a huge amount. I very much doubt it. What you're suggesting would involve incredible changes in angular momentum over the course of one orbital period. In the scenario you suggest, the angular momentum vector for the planet (the direction of its north pole) starts off pointing in one direction. Six months later, it's now pointing in the opposite direction. Since angular momentum is a vector quantity, that would require an enormous amount of torque and energy to achieve. And then you have to do the same thing again for the second half of the orbit, and repeat the whole thing each orbit. In theory, there's no reason why a planet couldn't orbit close to the way you suggest. It's probably extremely rare, but theoretically possible. This gets a little tricky to explain, but an axis of rotation can be divided into perpendicular vectors. There's no real benefit to doing it that way but it can be done, just like direction and velocity can be separated into 3 vectors, rotation can too, and the combination of the perpendicular vectors gives you the rotation of the object and it's axis of rotation. That's discussed in a bit more detail here. If we use the Moon as an example. 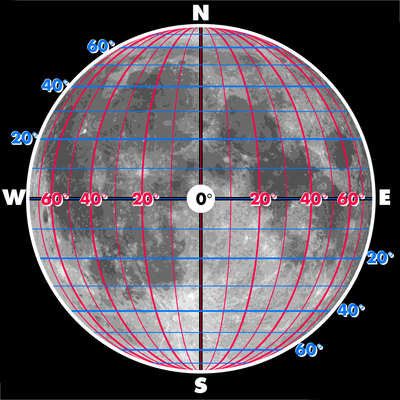 The Moon is oriented so it's heavier side permanently points towards the Earth. (the side of the Moon facing the Earth has a thinner crust and because crust is lighter than the mantle, the "Earth side" of the Moon has slightly greater density than the Far side. That greater density is more attracted to the Earth than the less dense far side and over time, the dense side of the Moon was oriented to permanently face the earth, similar to how the dense side of a floating objects orients itself downwards when floating in water. All planets, not being perfect spheres with perfectly layered density are unbalanced but the Moon is more lopsided than most. Mars more than the rest of the planets. Earth's uneven gravity has been measured in great detail, but in terms of effects on Earth's orbit and rotation, it's uneven gravity is pretty insignificant. Now some objects experience significant tidal deformation, like Io and Enceladus which are measurably squeezed by their elliptical orbits as they move closer to and further from their planets, but that's something else and you probably wouldn't want that on a planet as the volcanic effects would be too big. But what I'm talking about isn't a tidal bulge but a permanent imbalance of mass where one side of the Moon is denser than the other. So, if we figure the dense side of the Moon must always point to Earth due to tidal locking, that still leaves one way that the Moon can rotate without affecting the locking and that's along it's 90 degree longitude lines, and that, in theory could happen in addition to it's existing synchronous rotation that keeps the heavy side of the Moon pointed towards earth. This wouldn't be two axis of rotation, it would be one axis of rotation where the East-West vector of the rotation would still be tidally locked but the rotation around the 90 degree longitude line wouldn't interfere with the tidal locking, so the effect, the familiar face would spin around in a circle but always face the earth. We could in theory do that artificially if we put a big train on the moon and ran it 24/7 in the same direction around the 90 degree longitude line. Do that long enough and the moon would begin to spin. But for such a scenario to actually exist, you'd need a lot of luck, because the forces that tend to tidally lock a planet or moon tend to also reduce any other rotations other than the synchronous 1:1 tidally locked rotation. Another problem is the Equatorial bulge which is a consequence of rotation, tends to have more mass and that would want to orient itself towards the planet, so for this to work you'd need a slow rotation and a small equatorial bulge where the added mass around the equatorial bulge was small enough to not alter the direction of the heavier side of the planet. Now it's not hard to imagine a planet that's not tidally locked having just the right orbital velocity and position to do what you want, but in such a scenario with no tidal locking, it would be temporary. Planets rotations tends to slow down over time, so perfectly matching without tidal locking would be coincidental and temporary. More likely you'd have a very slow rotation, not a permanent side facing the planet, but a very gradual movement. There are no planets (or moons) like you describe that we know of. It's probably a hugely unlikely scenario that would probably only be approximated (a bit like Uranus). Not the answer you're looking for? Browse other questions tagged planet rotation or ask your own question. Can a planet's changing tilt be aligned with the rotation around its star?